Are you going to Fes? With around one million residents, Fes is one of Morocco’s largest cities, dating back to the medieval days. This ancient and walled city also has the unique advantage of two old medinas, one of which is a UNESCO World Heritage Site. In fact, until the 11th century, Fes was two separate cities. 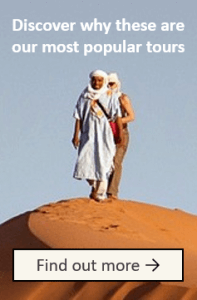 Still today, this bustling city is Morocco’s spiritual and cultural capital, with plenty to uncover and explore in your tours of this ancient land. 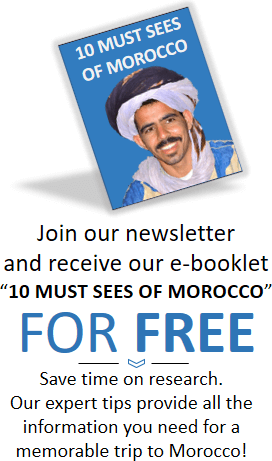 That is why we came up with our list of the seven top things to do while touring Fes, Morocco. If religious history is what you are after, the City of Fes has plenty to offer. This region is home to the world’s oldest continually operating university. 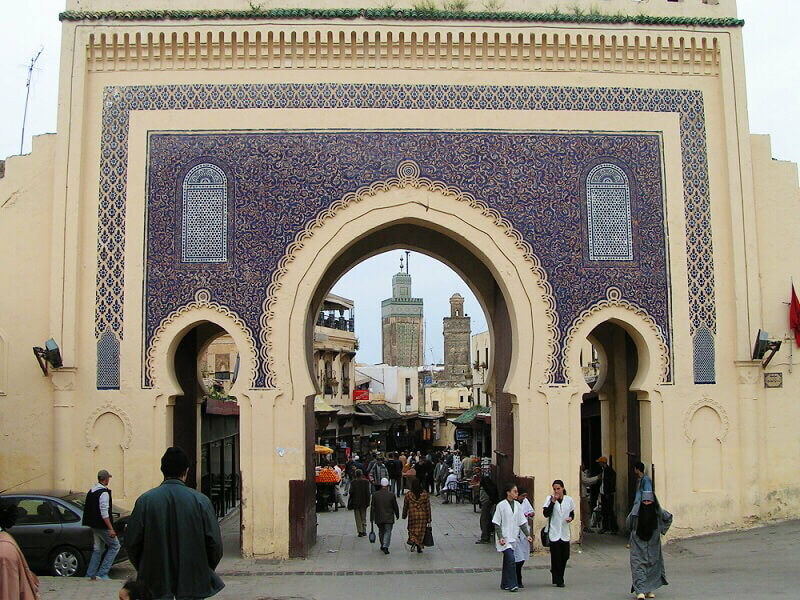 Founded in 859, the University of al-Karaouine was once a leading educational and spiritual center for Muslims. This school was founded by Fatima al-Fahiri and was financed by her inheritance from her wealthy father. Fatima was a very religious woman and is said to have fasted every day until the mosque’s completion. Officially a state university since 1963, this historic site remains open to students even today. If you are a non-Muslim, you will not be able to actually enter this religious school, but you will be able to look inside and catch a glimpse of its beautiful interior. 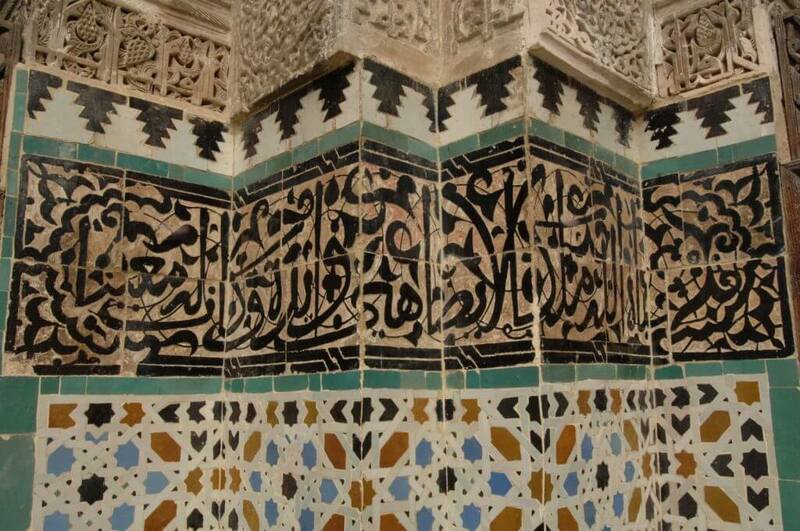 Meanwhile, the Madrasa Bou Inania was first founded in the mid 1300’s, an original work showcasing the architecture of the Marinid Dynasty, which once ruled the country of Morocco. It also holds the distinction of being the final madrasa the Marinids built. Madrasa Bou Inania served as both a mosque and religious institute. It is the region’s only madrasa that features a minaret, and more importantly for world travelers it is one of very few religious sites in the country that non-Islamic guests may visit. Step in and wonder at the intricate mosaics that will dazzle your eyes! 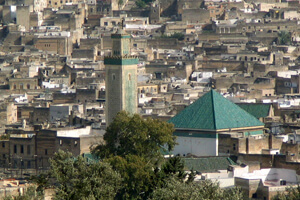 Fes also has a pronounced Jewish area of the city. The Mellah is a section of Fes where the architecture changes significantly from elsewhere in the region. Here you will see homes containing many windows and balconies overlooking the streets, as well as a Jewish cemetery. This is an historical part of the city that is worth hiring a guide to see and tour. Fes el-Bali, or the old medina, is a site to see all in itself. If you hope to tour the area, though, you will likely want to hire a guide for the day to help lead you. There is plenty to see in the region, includes walking through the narrow alleyways, passing local artists at work. This is a good time to try out some of the many rooftop restaurants, as well, where you can sample some of the area’s famous mint tea. One of more unique options for travelers is to visit the local tanneries. This area of town is where you will find colorful dyes, hanging pelts and large vats of lye. 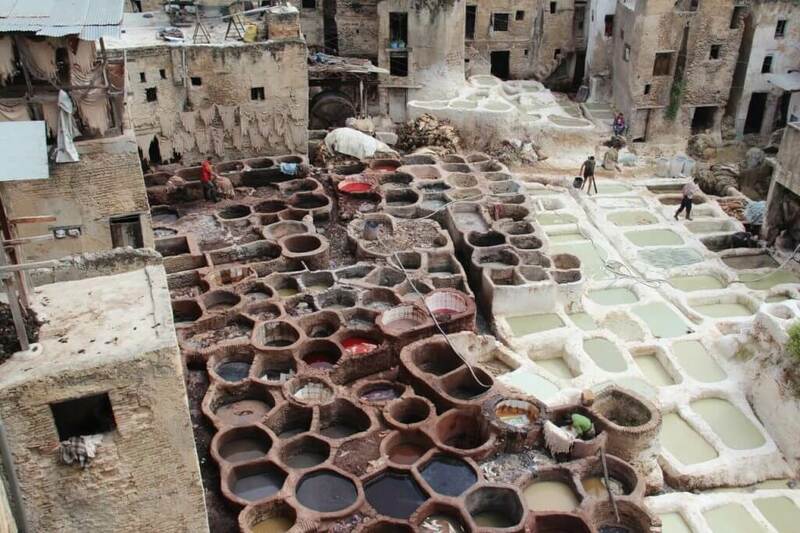 Tanneries in Fes are well known for their leather-making techniques, which have remained the same for centuries. The best views of the tanneries can be found from the local leather shops. Expect some pressure to buy the finished goods, so if you want to take a look be prepared to buy. The scent of the tanneries is pretty intense, so morning is probably the best time to go. If you are looking for a place to get away from the busy streets, duck inside one of the city’s three main museums. The Nejarine Museum of Wooden Arts and Crafts is perhaps best respected not for what it holds but for the building housing the art. This is a lovely building, including a rooftop café. Meanwhile, the Dar Batha Museum includes traditional blue pottery for which Fes is well known for providing. It also includes several other pieces of art. The Belghazi Museum is a third choice for travelers in search of some beautiful artwork. This palace is unique, though, in that travelers can purchase some of the art housed inside. If you are looking for one of the best views of Fes, head up the hill just outside of Fes. The Merenid Tombs are not so much the attraction for visitors, but rather the view this location provides visitors of the city below. 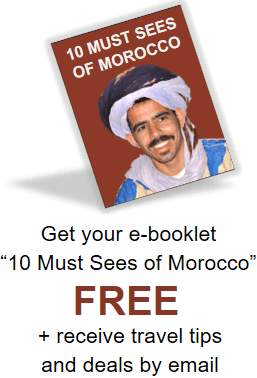 It is a destination not to be missed if you are traveling Morocco and the lovely and ancient City of Fes. This region has plenty to offer any traveler. From examining the area’s rich history dating back to medieval times, to touring some of the region’s most profound artwork, there is plenty to do and explore in Fes. 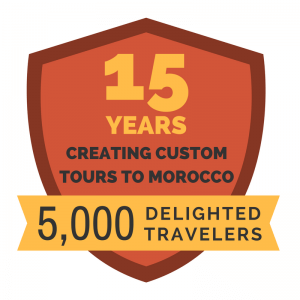 Set your sights on the oldest Imperial city in Morocco, and you are sure to find an exciting adventure awaits you.